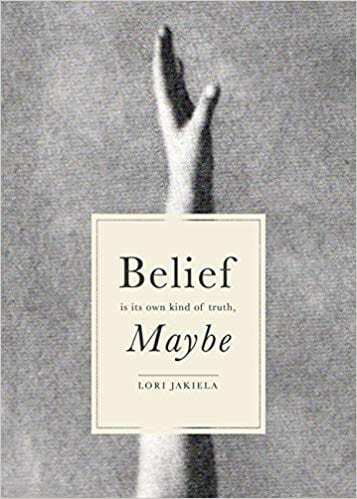 Lori Jakiela opens her memoir with a line as humble as the title, describing her memoir “primarily a work of nonfiction.” What follows is a dramatic account of Jakiela’s search to make contact with her biological family after the death of her adoptive parents. Belief Is Its Own Kind of Truth, Maybe is an evocative story of one woman’s yearning for closure, love, and family. The presentation of these ideals are developed through Jakiela’s description of loss. She articulates her pain in ways that are acute, poignant, familiar. Her pages are decorated with mediations on a particular grief—the kind of unique sorrow that stems from her identity as an adoptee. Through her attempts to contact her native family, for example, she continues, with insistence, to refer to her adoptive family as her “real” family. Some craft elements will engage readers from the start. Jakiela, a native Pittsburgher, describes a setting that Chatham students will find pleasantly relatable. More uniquely, Jakiela subtly challenges storytelling conventions through experimental use of dialogue. She presents uninterrupted, staccato quotes and repetitive dialogue tags, both of which reveal a one-of-a-kind style—clever and intentional in its pacing.